NEW ORLEANS, LA—The NOPD Public Integrity Bureau Force Investigation Team is investigating an officer-involved shooting that left a 37-year-old man dead. The incident happened just before 11:00 p.m. on January 7, 2015 near the intersection of Josephine and LaSalle Streets. Sixth District officers Matthew Bencik and Devin Ashmore observed a Chevrolet Avalanche pick-up truck parked near the intersection with heavy damage to the front of the vehicle and smoke billowing out from under the vehicle’s hood. When the officers approached the vehicle, they observed two men seated in the front of the truck and one woman in the back seat. After speaking with the individuals and checking their identification, officers asked the 37-year-old driver to step out of the vehicle. Shortly after exiting the vehicle, the driver ran off heading eastbound on Josephine Street. Officers ran after the driver who then fired a gun in the direction of the officers. Officer Bencik returned fire and struck the driver in his hip and torso area. Officers discovered illegal drugs and a semi-automatic handgun near the area where the driver collapsed. EMS transported the driver to the hospital where he later died. The Coroner will release the identity of the driver after notification of family members and will perform an autopsy to determine the exact cause of death. The other man and woman who were in the vehicle left the scene and are still at-large. The PIB Force Investigation Team is leading the investigation and is collaborating with the Federal Consent Decree Monitor and the Independent Police Monitor. Officer Bencik was wearing a body worn camera that successfully recorded the incident from the beginning to end. The footage will be made available to the public at the conclusion of the investigation. Matthew Bencik is a three-year member of the NOPD. Devin Ashmore is an 8-year-member of the NOPD. 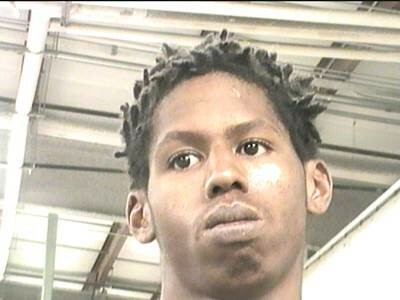 NEW ORLEANS, LA– NOPD has arrested 18-year-old Taman Martin and booked him with Attempted Armed Robbery and Attempted Second Degree Murder. The incident took place December 20, 2014 at Dannell Park located at Saint Charles Avenue and Octavia Street. Police are asking for the public’s assistance in locating and identifying the second suspect involved in the incident. At approximately 10:00 p.m., three individuals were at the park when they were approached by two unknown black males. One of the suspects demanded money and began searching the pocket of one of the victims. The other suspect made a comment to the victim and shot him in the abdomen. Both suspects then fled on foot. The victim was transported to the hospital and was listed in critical condition. 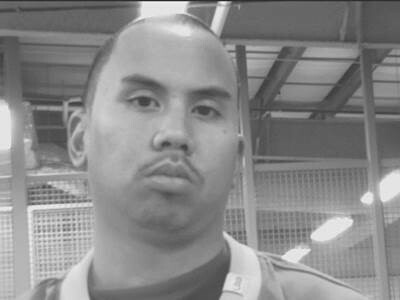 Through the course of the investigation, Taman Martin was identified as one of the suspects. Martin was already in Central Lock-Up after NOPD arrested him and three others earlier this week for multiple armed robberies in the Uptown area. Martin will additionally be booked with Attempted Armed Robbery and Attempted First Degree Murder. The investigation is ongoing and detectives are investigating to establish the identity of the second suspect that shot the victim. NEW ORLEANS, LA. – The NOPD is requesting for the public’s assistance in locating 18-year-old Cornell Lewis, who may have critical information regarding the shooting death of 18-year-old Malik Braddy. Braddy was shot to death on Friday, October 10, 2014, at the intersection of Lizardi and North Derbigny Street. Around 10:00 p.m., officers responded to a call of an unresponsive male in the middle of the street. Officers arrived and found Braddy suffering from multiple gunshot shot wounds to the body. He died on the scene. A photograph of Lewis is below. Homicide Detective Andrew Waldron is in charge of the investigation and can be reached at 504-658-6080. Crimestoppers is offering up to a $2,500 reward for information leading to the arrest and indictment of the person(s) responsible. Citizens with information regarding this crime are asked to call Crimestoppers at 822-1111 or toll free at 1-877-903-STOP (7867). Callers do not have to leave their name nor testify in court to receive the reward. 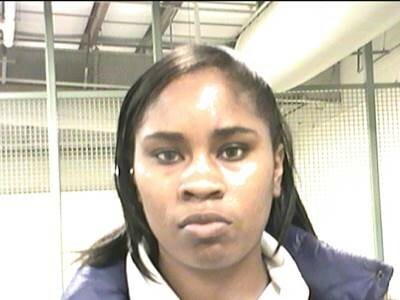 Citizens can also submit an anonymous tip online to Crimestoppers at www.crimestoppersgno.org. NEW ORLEANS, LA. – Today, the NOPD Violent Offenders Warrant Squad (VOWS) and the U.S. 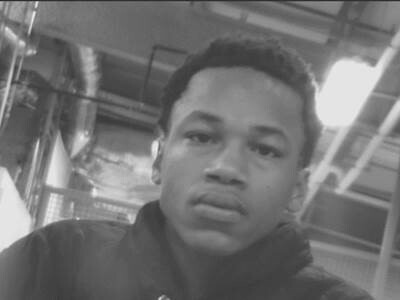 Marshals Task Force arrested 19-year-old Tavis Leonard and charged him with the murder of 33-year-old Charles Meyers. The shooting occurred on Wednesday, March 26, 2014 in the 11000 block of Haynes Boulevard, around 9:45 a.m.
Meyers had been shot multiple times and died on the scene. During the course of the investigation, detectives learned a 24-year-old male sustained a graze wound to the head. He was transported to the hospital with non-life threatening injuries. Leonard was booked into Central Lockup and charged with Second Degree Murder and Attempted Second Degree Murder. 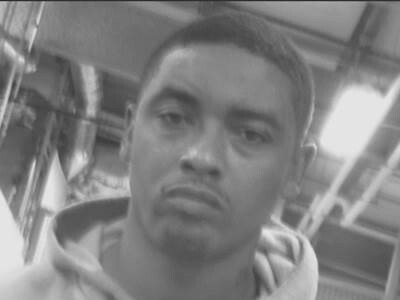 NEW ORLEANS, LA—Today, the NOPD announced that Officer Tony Burrell has been placed on emergency suspension without pay after he was arrested Monday in St. Bernard Parish. On January 5, 2014, Burrell was involved in a domestic disturbance in a home located in the 2600 block of Pirate Drive in Chalmette, Louisiana. Following an investigation by the St. Bernard Parish Sheriff’s Office, Burrell was arrested for violating Louisiana Revised Statue 14:103 Relative to Disturbing the Peace (Domestic). The NOPD Public Integrity Bureau placed Burrell on emergency suspension without pay pending the outcome of an administrative investigation. The St. Bernard Parish Sheriff’s Office is conducting a criminal investigation. Burrell is a five-year veteran of the NOPD and was most recently assigned to the NOPD Fifth District. The NOPD has arrested 22-year-old Antonio Gabriel, 38-year-old Calvin Varnado, 27-year-old Jasmyne Varnado and 28-year-old Frederick Nieve wanted in connection with an Aggravated Burglary that occurred on December 16, 2014, in the 7500 block of Trapier Street. Detectives are in the process of determining the identity of another female suspect. At approximately 8:00 p.m., the 29-year-old male victim was answering a knock at his door when he looked outside, saw a male acquaintance and opened the door. While the acquaintance was entering, the five suspects forced their way in. Once inside, one of the males produced a handgun, pointed it at the victim and demanded property the victim had allegedly taken from one of the female suspects. After the victim advised that he never took anything, the female suspect entered the victim’s bedroom and ransacked it as she looked for her property. Without locating anything, the suspect told the victim that she was taking other items for compensation for her property. After taking several items, the suspects fled the location. The victim and suspects were past acquaintances. Through the course of the investigation, detectives identified four of the five suspects and obtained arrest warrants for Aggravated Burglary. On January 5, 2014, the NOPD arrested Antonio Gaberiel, Calvin Varnado, Jasmyne Varnado and Frederick Nieve without incident and booked them with Aggravated Burglary. The investigation is ongoing and detectives are in the process of determining the identity of the fifth suspect and her involvement in the incident. Seventh District Detectives are investigating the incident and can be contacted at 658-6070. Citizens with information that can help in this investigation are asked to call Crimestoppers at 822-1111 or toll-free 1-877-903-STOP(7867) or Text your crime tip to C-R-I-M-E-S (274637), Text TELLCS then your crime information. You could receive a cash reward of up to $2,500 for information leading to the arrest and indictment of the person(s) responsible. You do not have to give your name nor testify to receive the reward. Citizens can also submit an anonymous tip online to Crimestoppers at www.crimestoppersgno.org. NEW ORLEANS, LA – The NOPD has arrested 17-year-old Morris Smith, 18-year-old Taman Martin, 19-year-old Darrell Quinn, and 20-year-old Tevin Quinn in connection with a series of robberies and an attempted robbery in the Uptown area. On December 22, 2014, at approximately 8:55 p.m., a 45-year-old male was walking on Henry Clay Avenue approaching Coliseum Street when he was approached by two suspects, one armed with a gun. One of the suspects struck the victim in the neck before demanding his property. After the victim gave the suspects his wallet and phone, the suspects ordered the victim to lie on the ground. The victim was then searched by the suspects and found to be in possession of a concealed firearm. The suspects subsequently took the firearm out of the victim’s holster and fled the area. At approximately 6:11 p.m., in the 5100 block of Camp Street, a 28-year-old male was walking to his residence when two suspects exited a vehicle. One of the suspects, armed with a gun, demanded the victim’s wallet at which time the victim complied. Both suspects subsequently fled in a 2007 Toyota 4Runner. At approximately 6:24 p.m., in the 7000 block of Camp Street, a 53-year-old female and 56-year-old male were unloading groceries from their vehicle when they were approached by three suspects armed with guns. The suspects began demanding the victims’ property at which time they grabbed the female victim’s phone from her hands and took the male victim’s wallet and cell phone. The suspects proceeded to reach into the male victim’s pockets attempting to take pocket change while one of the suspects searched inside the vehicle. The suspects subsequently fled with the victims’ property in an unknown vehicle. At approximately 6:45 p.m., in the 5100 block of Willow Street, a 62-year-old female was walking with groceries when three suspects approached and demanded her property. The victim became scared and began to flee at which time the suspects pushed her to the ground. After the victim started to scream, the suspects became startled and fled in a Toyota 4Runner. At approximately 7:00 p.m., in the 2100 block of Fern Street, a 31-year-old male was walking to his residence when two suspects exited a vehicle. One of the suspects, armed with a gun, demanded that the victim get on the ground. The victim complied, at which time the suspects removed the victim’s phone and wallet from his rear pants pocket. The suspects fled in a Toyota 4Runner. Based on the close proximity of the robberies and similar descriptions given of the vehicle used, members of the Special Operations Division, Second District and Sixth District officers immediately began patrolling the area in search of the vehicle, later identified as a grey 2007 Toyota 4Runner. Shortly thereafter, officers located a vehicle near South Claiborne and Louisiana Avenues matching the description. The officers attempted to stop the vehicle and a pursuit ensued ending at Loyola Avenue and Jena Street. The four suspects fled from the vehicle on foot into the neighborhood. Two of the suspects were observed carrying handguns as they fled. A perimeter was established in the immediate area and all suspects were apprehended with the assistance of a K-9 unit. Detectives were able to recover the firearm taken during the December 22 robbery. The firearm was located in the same area where Martin was apprehended. All four suspects were arrested and booked with multiple counts of Armed Robbery and one count of Attempted Simple Robbery for the incidents that occurred on January 4. Martin and T. Quinn were additionally booked with Armed Robbery, Possession of a Stolen Firearm, and Possession of Stolen Things for the December 22 robbery. A second gun was also recovered from the scene. Further investigation revealed the 2007 Toyota 4Runner was stolen on December 17, 2014, in the 1200 block of Joseph Street. Detectives are in the process of determining the suspects’ involvement in other area robberies. The Second District Investigative Unit is in charge of the investigation and can be reached at 658-6020. NEW ORLEANS, LA – The NOPD is asking for the public’s assistance in identifying and locating two unknown males wanted in connection with a Simple Robbery that occurred on January 3, 2015, near the intersection of Saint Louis and North Rampart Streets. At approximately 5:45 a.m., the 37-year-old male victim met an unknown male in the 700 block of Bourbon Street when they began talking and decided to walk to an unknown location. After walking a few blocks, suspect #1 approached the victim from behind and struck him in the shoulder. As the victim turned to face suspect #1, he observed suspect #2 and a physical altercation ensued between the victim and two suspects. The victim then fell to the ground at which time the suspects went through the victim’s pockets, took his iPhone 6, and subsequently fled the area. The unknown male walking with the victim had fled during the altercation with the suspects. The victim sustained a bruised right eye. Suspect #1 was described as a black male, dark complexion, in his 30s, approximately 5’10” tall, approximately 190 pounds, and having a defined afro. He was wearing a white t-shirt and had several tear drop tattoos under the left eye. Suspect #2 was described as a black male, dark complexion, 30 to 35 years old, and approximately 6’2” tall with a gap between his teeth. He was wearing a black do-rag with a red shirt and had a drooping left eye. A computer composite sketch of the suspects can be seen below. NEW ORLEANS, LA. – The NOPD is asking for the public’s assistance in locating and identifying two suspects wanted for a Business Burglary. The incident took place January 4, 2015, at the Family Dollar, located at 2125 Caton Street. At approximately 5:45 a.m., the suspects pried and forced open an exterior door. Once inside, the suspects unbolted the ATM and rolled it outside. The suspects placed the ATM inside of an unknown make and model silver SUV and fled the location. Below are two videos of the suspects. Third District Detectives are in charge of the investigation and can be contacted at 658-6030.